The clocks have sprung forward and I’m sure we’re all enjoying the longer days and looking forward to coming out of hibernation after enduring another winter. Soon the buds will be breaking and we’ll all be enjoying a sip in the sun! 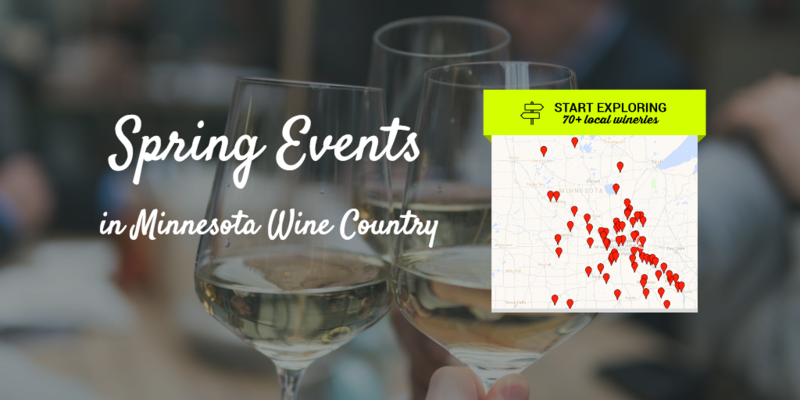 While you’re waiting for full-blown deck drinking season to arrive, here are some activities across Minnesota’s wine country to whet your whistle. Whether you’re considering planting an entire orchard or just a tree or two, join Milk & Honey Ciders (Saint Joseph, MN) March 17 for a clinic on apple tree grafting while you enjoy a sip of cider and graft your own tree to take home! Interested in adding gardening to your list of skills — or maybe sharpen your existing skills and learn more about organic gardening practices? Join Jeff, Urban Forage Winery owner (Minneapolis, MN) and organic gardening expert for a FREE class on Edible Landscaping on March 24 or April 12. 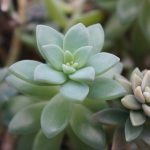 If you’re a succa for plants, get over to Millner Heritage Winery on April 8 for a “Succulent Bar” where you can pick a pot, a plant, and dig in the dirt, all while enjoying one of their fabulous ferments. 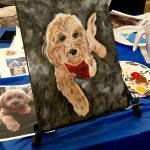 A unique twist on “paint and sip” events, Two Rivers Winery (Ramsey, MN) is hosting a Pet Portrait Painting session on April 15. Sorry, pets not allowed — just bring a picture of your furry friend & they’ll get it transferred to canvas so you can paint it! 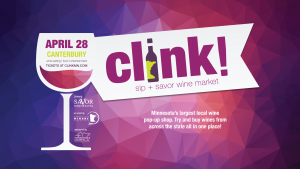 Check out Minnesota’s largest one-day pop up wine shop at at CLINK Sip & Savor Wine Market on April 28th at Canterbury Park in Shakopee, MN. YES! You can sample wine. YES! You can savor perfectly paired foods. YES! You can buy up to six of your favorite wines to take home. 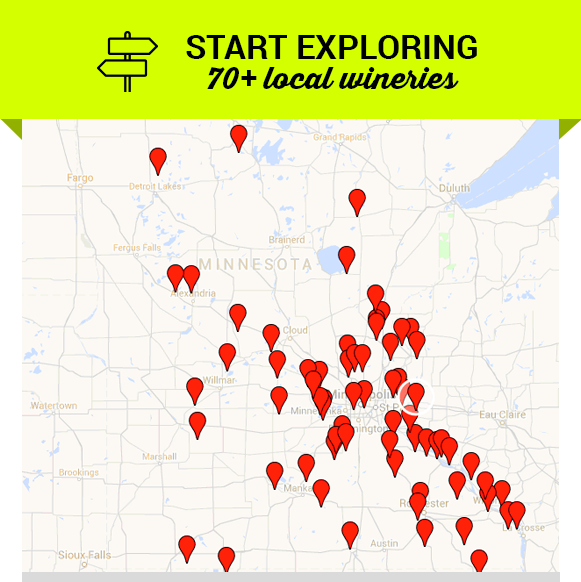 It’s winery-hopping on steroids! 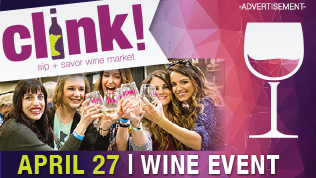 Save $4/ticket by checking out with code uncorked. Make it a weekend by grabbing a room at the nearby Hampton Inn & Suites, which is offering a complimentary shuttle to and from CLINK. Details at www.clinkmn.com. May 19, join Minnesota Arboretum for The Botany Behind Wine and Wine Barrels: A Day Trip from Forest to Glass, which will begin with a short Arboretum walk to view and learn about Minnesota’s white oak trees – the beginning of a wine barrel. 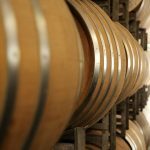 Afterward, you will travel by bus to a local cooperage using Minnesota oak to make wine and spirits barrels. 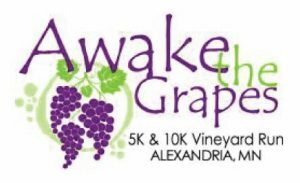 Get a jump on your fitness this spring with Carlos Creek Winery’s Awake the Grapes 5k or 10k (Alexandria, MN) on May 27. The course will wind the runners around the picturesque vineyards, and 10k’ers will head around beautiful Lake Ida. Awake the grapes as you run the vineyards! Forget beer leagues, how about a wine league?! 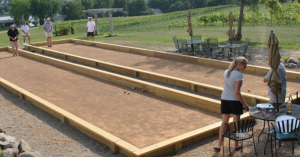 Schram Vineyards Winery & Brewery (Waconia, MN) has both beer and wine — along with a Bocce Ball League that runs throughout the summer. 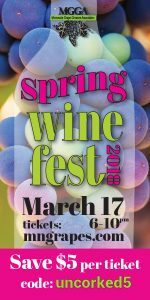 I'll send you this awesome event list!